Monday gets a bad rap, but is it just because it’s the beginning of another long work week? The English noun Monday derived sometime around 1000 AD from the Old English word, monedæi, which literally translates to ‘moon’s day’. Because of its association with the moon and the moon’s tendency to wax and wane, many cultures view Monday as unlucky and even as a day when people literally lose their minds. The Latin word for moon, luna, is the root word for the English term, ‘lunacy’. According to the British Medical Journal, there is a reported 20% increase in heart attacks on Mondays as opposed to the other days of the week. 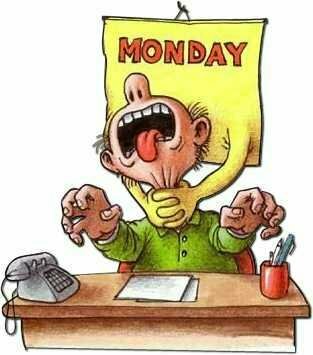 Monday is often referred to as ‘Blue Monday’. It is easy to assume this is because of people’s moods, but actually, back in the old days, Monday was traditionally set aside as laundry day, and ‘bluing’ was a technique used to keep white clothes from becoming gray and dingy. Monday’s reputation is no stranger to the pop music scene. The Bangles felt pretty frazzled in their 1986 hit song ‘Manic Monday’; the Mamas and the Papas were ‘cryin’ all the time’ when Monday came around, in their 1966 hit ‘Monday, Monday’; and the Boomtown Rats sang about a homicidal teenager in their 1979 hit ‘I don’t like Mondays’. In an odd counter approach, in July 2002, PriceWaterhouseCoopers Consulting branch announced that it would spend $110 million to re-name itself ‘Monday’ a move, according to the company, intended to denote fresh thinking and new beginnings, rather than the unwelcome start of the working week. A recent comment: “I want to see the ice skates! While I can’t suggest that this image is from the dig, This is what they would have looked like in that time period. Made from bone and by the looks of it not the most effective device. A fantastic comment that has inspired me! history geek that I am. 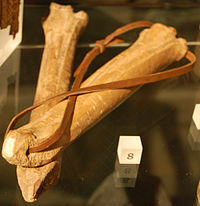 Medieval bone skates on display at the Museum of London. 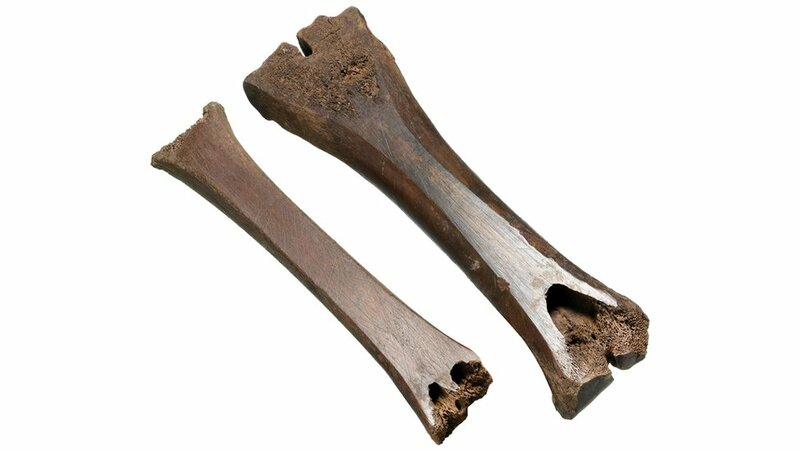 According to a study done by Federico Formenti,University of Oxford, and Alberto Minetti, University of Milan, Finns were the first to develop ice skates some 5,000 years ago from animal bones. This was important for the Finnish populations to save energy in harsh winter conditions when hunting in Finnish Lakeland. 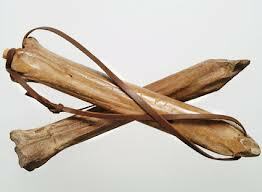 The first skate to use a metal blade was found in Scandinavia and was dated to 200 and was fitted with a thin strip of copper folded and attached to the underside of a leather shoe. …. 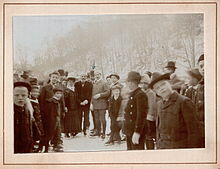 when the great fenne or moore (which watereth the walles of the citie on the North side) is frozen, many young men play upon the yce, some striding as wide as they may, doe slide swiftly… some tye bones to their feete, and under their heeles, and shoving themselves by a little picked staffe, doe slide as swiftly as birde flyeth in the aire, or an arrow out of a crossbow. This article clipping sounds an awful lot like something I might of found in the local paper in Missouri. 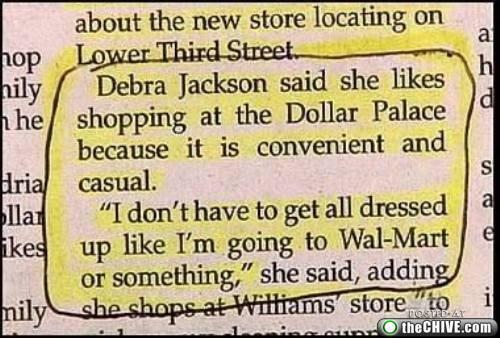 Who knew going to Wal-mart was a cause for getting out your Sunday best, considering that a number of folks in Missouri attend W-mart in their P.J’s. This clipping does leave me pondering what the dress code for Dollar Palace must be! (Insert shudder here). Just me, being me. A bit about myself. Thanks to the folks that find entertainment value in my odd bit of the internet. In general I just care to share the odd bits of news that I stumble over on my journeys around the net. A number of people share their life stories here and thus feel no need to share my day to day experiences or events. I rather just provide a few cheap smiles, (fits anyone’s budgets). I am a middle aged male who lives in Vancouver, Canada. A stone mason by trade with a twisted sense of humour. See you around the press! 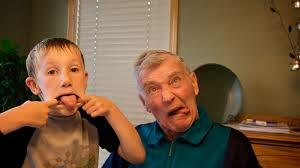 –The record for the longest period without sleep is 18 days, 21 hours, 40 minutes during a rocking chair marathon. The record holder reported hallucinations, paranoia, blurred vision, slurred speech and memory and concentration lapses. – It’s impossible to tell if someone is really awake without close medical supervision. People can take cat naps with their eyes open without even being aware of it. – Anything less than five minutes to fall asleep at night means you’re sleep deprived. The ideal is between 10 and 15 minutes, meaning you’re still tired enough to sleep deeply, but not so exhausted you feel sleepy by day. – REM sleep occurs in bursts totalling about 2 hours a night, usually beginning about 90 minutes after falling asleep. – REM sleep may help developing brains mature. Premature babies have 75 per cent REM sleep, 10 per cent more than full-term bubs. Similarly, a newborn kitten puppy rat or hampster experiences only REM sleep, while a newborn guinea pig (which is much more developed at birth) has almost no REM sleep at all. – British Ministry of Defence researchers have been able to reset soldiers’ body clocks so they can go without sleep for up to 36 hrs. Tiny optical fibres embedded in special spectacles project a ring of bright white light (with a spectrum identical to a sunrise) around the edge of soldiers’ retinas, fooling them into thinking they have just woken up. The system was first used on US pilots during the bombing of Kosovo. – The NRMA estimates fatigue is involved in one in 6 fatal road accidents. – Exposure to noise at night can suppress immune function even if the sleeper doesn’t wake. Unfamiliar noise, and noise during the first and last two hours of sleep, has the greatest disruptive effect on the sleep cycle. – The “natural alarm clock” which enables some people to wake up more or less when they want to is caused by a burst of the stress hormone adrenocorticotropin. Researchers say this reflects an unconscious anticipation of the stress of waking up. – Some sleeping tablets, such as barbiturates suppress REM sleep, which can be harmful over a long period. – In insomnia following bereavement, sleeping pills can disrupt grieving. – Tiny luminous rays from a digital alarm clock can be enough to disrupt the sleep cycle even if you do not fully wake. The light turns off a “neural switch” in the brain, causing levels of a key sleep chemical to decline within minutes. – To drop off we must cool off; body temperature and the brain’s sleep-wake cycle are closely linked. That’s why hot summer nights can cause a restless sleep. The blood flow mechanism that transfers core body heat to the skin works best between 18 and 30 degrees. But later in life, the comfort zone shrinks to between 23 and 25 degrees – one reason why older people have more sleep disorders. – A night on the grog will help you get to sleep but it will be a light slumber and you won’t dream much. – After five nights of partial sleep deprivation, three drinks will have the same effect on your body as six would when you’ve slept enough. – Humans sleep on average around three hours less than other primates like chimps, rhesus monkeys, squirrel monkeys and baboons, all of whom sleep for 10 hours. – Ducks at risk of attack by predators are able to balance the need for sleep and survival, keeping one half of the brain awake while the other slips into sleep mode. – Ten per cent of snorers have sleep apnoea, a disorder which causes sufferers to stop breathing up to 300 times a night and significantly increases the risk of suffering a heart attack or stroke. – Some studies suggest women need up to an hour’s extra sleep a night compared to men, and not getting it may be one reason women are much more susceptible to depression than men. – Feeling tired can feel normal after a short time. Those deliberately deprived of sleep for research initially noticed greatly the effects on their alertness, mood and physical performance, but the awareness dropped off after the first few days. – Diaries from the pre-electric-light-globe Victorian era show adults slept nine to 10 hours a night with periods of rest changing with the seasons in line with sunrise and sunsets. – Most of what we know about sleep we’ve learned in the past 25 years. – As a group, 18 to 24 year-olds deprived of sleep suffer more from impaired performance than older adults. – Experts say one of the most alluring sleep distractions is the 24-hour accessibility of the internet. – The extra-hour of sleep received when clocks are put back at the start of daylight in Canada has been found to coincide with a fall in the number of road accidents. 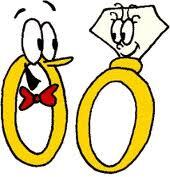 My heart felt blessings to each and all who have their “life partner”. For those about to saddle up and make the big day I have a few smiles for you to take a break from all that pesky stress. I never provide lame content your sure to either laugh or cry… Maybe both.. I am a person that does a lot of of crazy things. That said I wonder “why” we do such things. For some I guess it’s for attention but in my case I firmly feel that I do it, for self entertainment. I can not claim that I actually care what anyone else thinks about my actions. which is ok with me because it never is done with the intent to create harm or pain for others. I pause and reflect my special “Andy Brand”, of idiot does not involve waking up one morning and saying to myself, “You know what would be fun to do today? 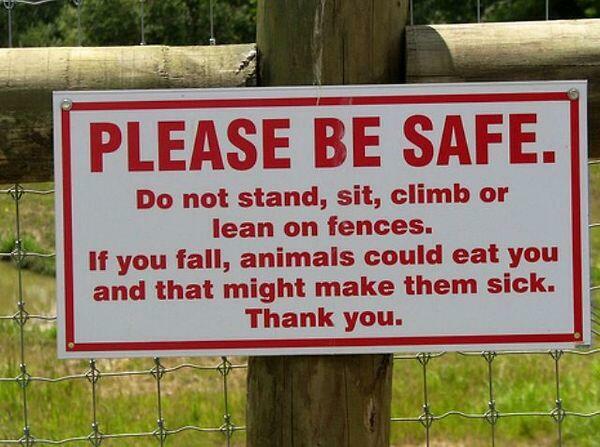 I think I will tie a bag of blood soaked meat to my leg and then go swimming with the sharks. After that hmmm, maybe jump out of an airplane.” Those folks I will never understand! Any who my two cents worth for today.